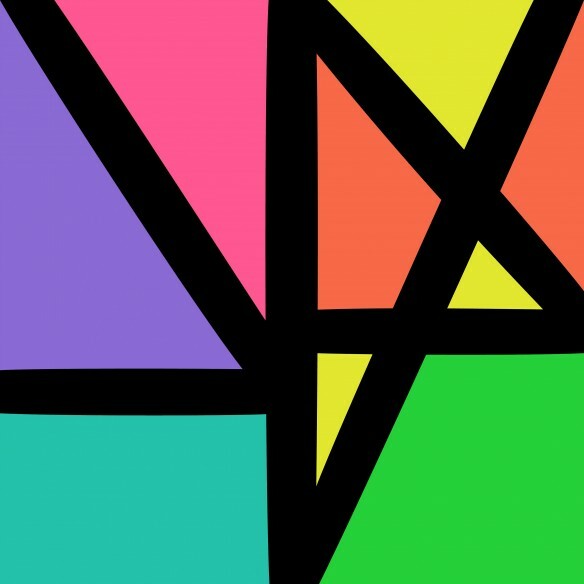 New Order: Music Complete (2016). 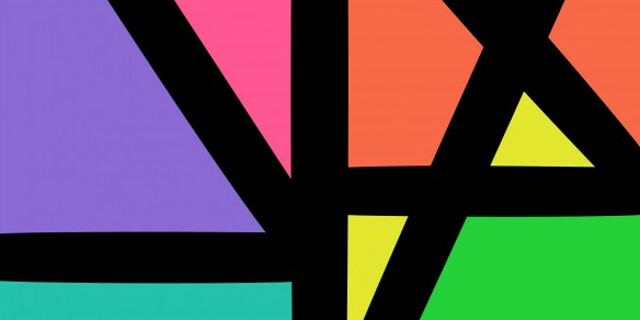 At almost sixty-five minutes, New Order’s tenth studio album Music Complete. On vinyl it is provided as an impressive heavy-grade double album with an abstract cover design by Peter Saville, which reminds one of True Colours by Split Enz or a 1980s L’Oreal advertisement. With no sense of embarrassment, the album also includes a twelve page booklet of blank pages and uncoloured designs. This ill-considered use of the planet’s declining arboreal biomass can possibly amuse children for a couple of hours as they provide a more interesting expression of colours. As is the fashion with albums these days a digital download code is also provided. The opening track, ‘Restless’ starts off with a gentle introduction before moving into a good synth-rock piece with lyrical substance. This perfectly fine beginning is followed by ‘Singularity’, a positively charged electronic body music (with a hint of ‘Sunrise’ from Low Life) with great lyrical content and a thumping progression. This is powerful, promising, and turns out to be the best track on the album. The first side of the first album is concluded in a similar style with ‘Plastic’, which i almost as impressive with but with a more synth-dance expression, like something from the classic pieces by Giorgio Moroder. Alas this promising start is spoiled when the disc is flipped, with the 1980s-mainstream dance track with utterly vacuous lyrical content of ‘Tutti Frutti’, and almost equally trite ‘People on the High Lane’. Of course, it’s a pitch to the middle-of-the-road which made the band very popular in the early 90s, but it achieves this by an appeal to the lowest common denominator. The side ends with a juxtaposition, ‘Stray Dog’, with a heavier and slower electronica sound, with Iggy Pop giving a long spoken word of a Bernard Sumner poem. The second disc starts with ‘Academic’, a medium-paced guitar-led electronica piece with good flow. The only other track on the side is ‘Nothing But A Fool’, with a semi-acoustic introduction also with a medium-paced classic New Order tempo with fair progression. Both are inoffensive but utterly uninspired pieces. The last side of the double-album begins with ‘Unlearn This Hatred’ with combines an interestingly electronica introduction before moving in some positively awful early 90s house, before a radical switch to dance-electronica again. It is interesting that consistency is found in the lyrical timing. It’s a strange, track, and gains a noddy point for experimentation. This is followed by ‘The Game’, a faster guitar-heavy electronica piece, but lacks a driving progression, but nevertheless is a bit of a sleeper. Finally, there is ‘Superheated’, which has a slow introduction, light electronics, then progressing to a less trite 1980s beat; not too bad overall. Despite the gushings of ever-loyal fans, Music Complete is far from being a great album. There is a couple of excellent tracks, a couple of interesting tracks, and a couple of painful pieces. As a whole this makes it above average but not overwhelmingly so. Ignore the hype and enjoy what one can from what’s available. The enduring popularity of bishonen: the Wraeththu Trilogies by Storm Constantine. Reviews: Amy’s Arms, Foster Body, Uranium Club (2016). Personally i thought it sounded like extruded New Order product and I would probably be able to remember a tune after a few plays. Better than that Bad Lieutenant album though, oh my goodness. I was such a New Order obsessive in my youth.